Selva Verde offers unparalleled opportunities for close encounters with nature, exciting adventure activities, and comfortable rainforest accommodations. Our friendly and knowledgeable staff is committed to providing an exciting and enriching experience for every guest. For international studies, meetings, and educational programs, make Selva Verde your center. We invite you to explore Selva Verde! Just 2 hours from San José, Selva Verde Lodge offers the amenities of an education and conference center in the heart of a rainforest reserve. The lodge offers total occupancy of 120-140 guests dependent on room configuration, and a variety of room types – from climate-controlled rooms to private bungalows, situated on the forest edge or adjacent to the Sarapiquí River. 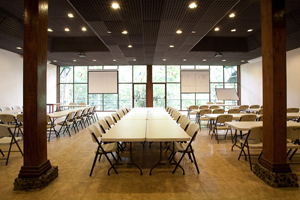 The lodge is equipped with ample conference rooms and Wi-Fi. 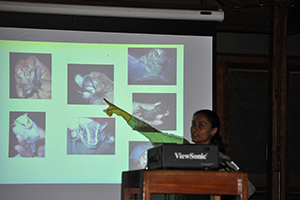 Selva Verde Lodge, in conjunction with Holbrook Travel, offers full-service event management, hosting up to 200 participants for formal presentations and workshops. Selva Verde’s private reserve is the ideal basecamp for educational field programs in ecology, conservation, community development, and culture. An ideal control site for graduate, undergraduate, or advanced high school studies, the site is equipped with classrooms, dormitory accommodation, Wi-Fi, and a basic wet lab facility, offering an ideal backdrop for annual student studies in a variety of research applications. In conjunction with the Sarapiquí Conservation Learning Center, an on-site educational non-profit organization, we can help you design a course to meet the academic needs of your group. 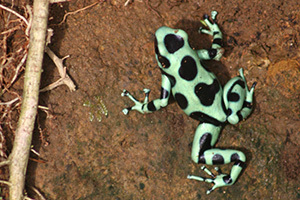 Selva Verde's 500 acre Sarapiquí Rainforest Preservation Area provides habitat for a wide variety of birds, animals, reptiles, insects, and plants. Eco tourism enthusiasts will discover great wildlife viewing and other rainforest adventures, such as white water rafting, canopy zip lining and hiking, in our reserve and in the Sarapiquí region. Costa Rica has protected more than 2.7 million acres of microclimates with 75 national parks and reserves. Many of these parks, gardens, waterfalls, volcanoes, caves, birding and wildlife habitats are located close to Selva Verde's Costa Rica eco lodge. 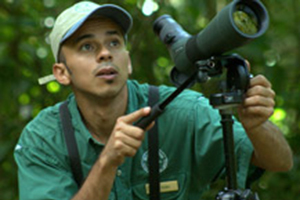 Selva Verde is very fortunate to have excellent naturalist guides, who share their knowledge and appreciation of the flora and fauna of the rainforest with our guests to provide a true connection with Costa Rican nature and culture. These resident experts support our on-site and activity programs in conjunction with other local experts and visiting professionals. 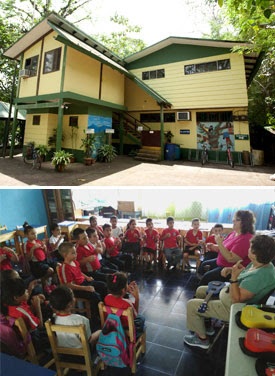 The Sarapiquí Conservation Learning Center (SCLC) was founded in 1993 by the Holbrook family and Selva Verde Lodge, the SARAPIQUÍ CONSERVATION LEARNING CENTER (SCLC) is today a fully independent US and Costa Rica registered non-profit organization. The SCLC’s mission is to link communities and conservation through education and ecotourism in the Sarapiquí region of Costa Rica’s northern lowlands. The SCLC offers community programs such as English classes, computer literacy, environmental education and after-school activities.